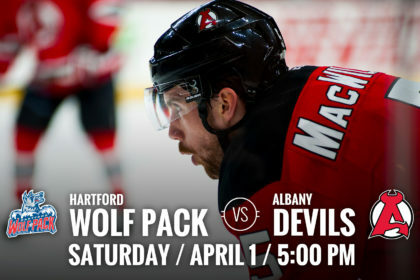 ALBANY, NY – The Albany Devils host the Hartford Wolf Pack Saturday for a 5 pm puck drop at Times Union Center. 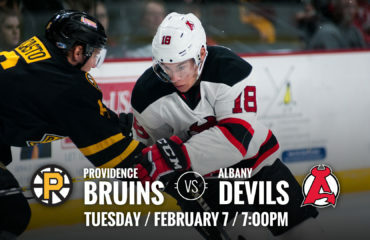 The Devils are coming off a 4-1 loss against the Providence Bruins Friday. The Wolf Pack are coming off a 3-0 win against the Hershey Bears on Friday. 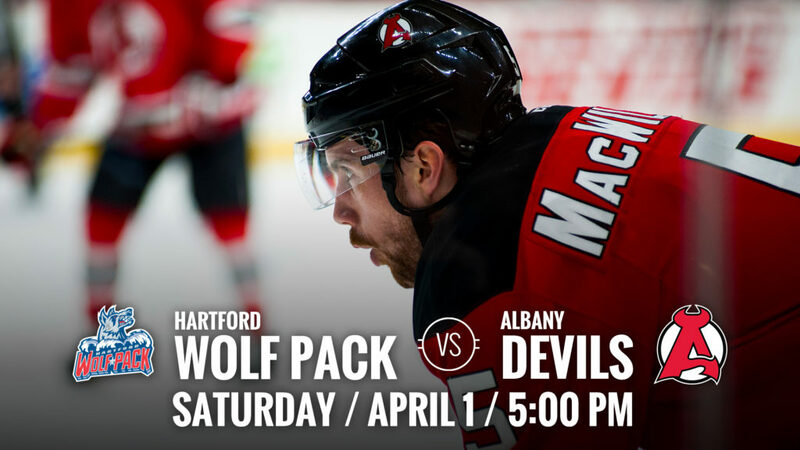 Albany holds a 34-29-2-3 record and Hartford have a current record of 23-39-4-2. Multiple Firsts: During Friday’s outing, Shane Harper earned an assist to Yohann Auvitu’s lone goal. It marked Harper’s first point with the Devils since being traded on March 1. Austin Cangelosi also earned an assist on the Auvitu goal, which marked his first ever professional and AHL point, as well as his first point with Albany. 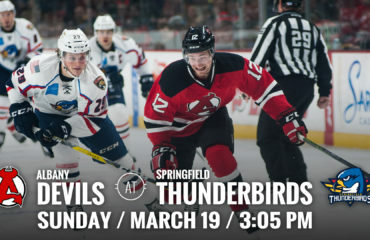 Looking For A Win: With the loss Friday, the Devils are winless in their past seven games, having scored just five times in those outings. Against Hartford this season, Albany is 2-0-0-0 after winning 4-3 in overtime on Nov. 25 and earning a 3-1 victory on Dec. 31. Man’s Best Friend: The Devils host their annual Pucks ‘N Paws night at the game Saturday where all dogs are welcome to come out to the game with their owner. Dog tickets are $5 and can be purchased at a table in the Box Office Saturday. Proceeds benefit a local animal shelter.